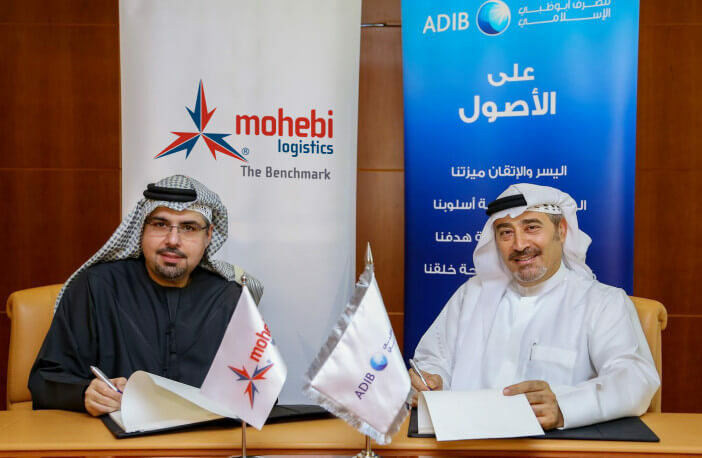 Abu Dhabi Islamic Bank (ADIB), a leading financial services group, has announced the successful issuance of an AED 400 million Sukuk for Mohebi Logistics, one of the largest vertically-integrated supply chain management companies in the Middle East. This issuance is structured under Sharia principles and is the first Sukuk transaction for a Dubai South entity. ADIB has acted as sole book runner for the Sukuk issue. The Sukuk proceeds will be utilized for the construction and development of ‎Mohebi’s new warehouse and logistics centre in Dubai South. The facility is planned to be one of the region’s most innovative developments, serving key multi-national corporations including Nestle which is the world’s renowned nutrition, health and wellness organization. The new facility will have a storage capacity of 180,000 pallets and will be spread over 206,000m². The deal is a landmark transaction for Mohebi as it represents their debut financing in the capital markets and is the first Sukuk issue based on an Istisna/Ijara structure. As a result of ADIB’s close collaboration with the Dubai South team throughout the execution process, ADIB was able to work closely within the Dubai South framework to structure the Islamic financing in a Sukuk format. Tirad Al Mahmoud, Chief Executive Officer at Abu Dhabi Islamic Bank commented: “We are keen to partner with organizations such as Mohebi Logistics to support their growth initiatives as they play a leading role in the retail distribution business. Mohammed Mohebi, Chief Executive Officer of Mohebi Logistics added: “The Sukuk issue will prove instrumental in helping us more than double our existing storage and logistics capabilities. The substantial interest shown in the Sukuk underlines the strong trust in Mohebi Logistics’ resilient growth plans and regional prospects.